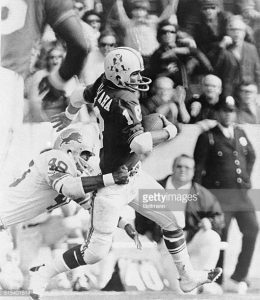 Wide receiver Randy Vataha was one of New England’s better players in the early-1970’s catching passes from Jim Plunkett. Vataha was a teammate of Plunkett’s back in Stanford and their chemistry carried through to the pros. Vataha’s best season came in 1975 when he had 720 receiving yards and 6 touchdowns. 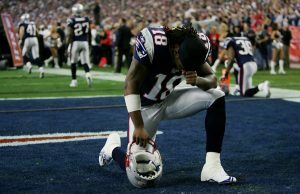 Donte’ Stallworth played one season plus one game with the Patriots. In 2007, Stallworth wore the #18 jersey and contributed to one of the greatest offenses in NFL history. One of his great plays occurred in the Divisional Round game against the Jaguars. On this day, Tom Brady was absolutely on fire as he’s prone to be in big games. In a nail-biter, Brady hit Stallworth on a short pattern and #18 streaked down the sideline for a huge-gainer that turned out to be the clincher. Stallworth came back for one game in 2012 wearing #19, caught a long touchdown on Monday Night Football and was subsequently injured on the play. 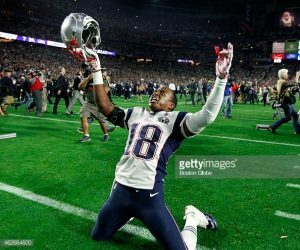 Matthew Slater is clearly the best player to ever wear jersey #18 for the Patriots. Slater is the son of the Hall of Fame offensive tackle Jackie Slater of Los Angeles Rams fame. Slater has become one of the best special-teamers in NFL history. He’s been named to seven consecutive Pro Bowls and is a perennial team captain. He even correctly called the coin toss before New England’s championship drive in Super Bowl LI. Slater will go down as one of Bill Belichick’s favorite players and will live forever in Patriots lore. Do you remember who punted for the Patriots in Super Bowl XXXI? 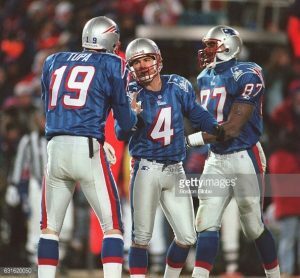 If you said Tom Tupa, you got it. The one time backup quarterback of the Phoenix Cardinals became a full-time punter when it became brutally obvious that he was better at kicking a football than throwing it. 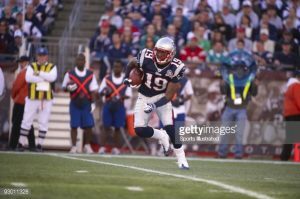 He wore #19 for the Patriots for three seasons under Bill Parcells and Pete Carroll. In 1999, he left New England for the Jets and in an incredible twist of fate, Vinnie Testaverde tore his ACL and Tupa was forced into emergency quarterback action. The Jets were heavily favored going into 1999 to defend their AFC East title, but once Testaverde went down, their hopes were dashed. Tupa made a decent appearance as he threw touchdown pass. He made the Pro Bowl as a member of the Jets in 1999 and won a Super Bowl as a member of the Buccaneers after the 2002 season. The Patriots used their third round draft choice in 2009 on a kick return specialist named Brandon Tate. His only season of productivity in New England turned out to be in the Patriots 2010 season when they finished 14-2. He returned two kickoffs for scores that season before leaving for the Cincinnati Bengals. To his credit, he’s still in the league. The Patriots got some Super Bowl championship contributions from two other players wearing #19. 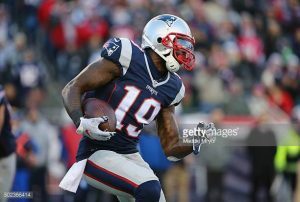 Brandon “Jojo” LaFell had an excellent season in New England in 2014 as he made several key plays in the Patriots march toward their first World Championship in ten years. Against the Ravens in the playoffs, he caught the winning touchdown, then scored the first points in the Patriots win over Seattle in Super Bowl XLIX. Unfortunately, he had an injury-plagued, drop-filled campaign in 2015. 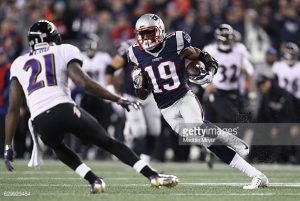 The Patriots moved on from LaFell and drafted a new #19. That guy’s name is Malcolm Mitchell. Mitchell’s finest game as a Patriot may have come in New England’s dramatic win over the Falcons in Super Bowl LI. 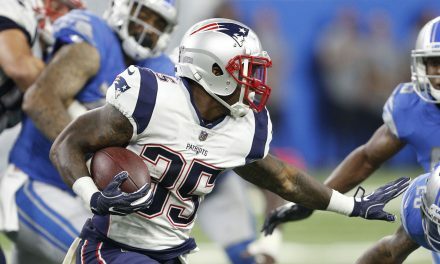 Time and again, Tom Brady targeted Mitchell in the second half and Mitchell was up to the task in the biggest game of his life. 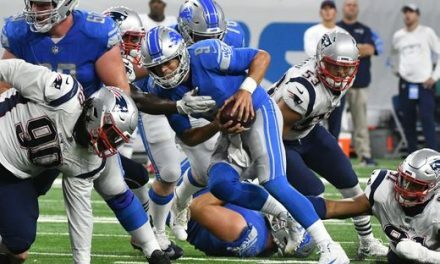 Sadly, Mitchell never saw the field in 2017, but it’s hard to say it mattered much when New England was able to throw for over 500 yards in the Super Bowl without him. However, he’ll be a welcome addition back to the fold in 2018. 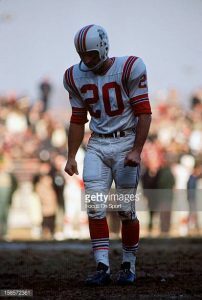 Only one player has ever worn #20 for the Patriots and only one player ever will. Gino Cappelletti is truly one of the most beloved of all Patriots. He played for Boston from 1960-1970 and upon retirement held countless franchise records. He was the AFL MVP in 1964 and was named to five All-Star teams. Perhaps he is best known as a game analyst for almost 30 years. The combination of Gil Santos-Gino Cappelletti was in the booth for New England’s first three Super Bowl championships. Cappalletti also was in the booth for Boston College games. 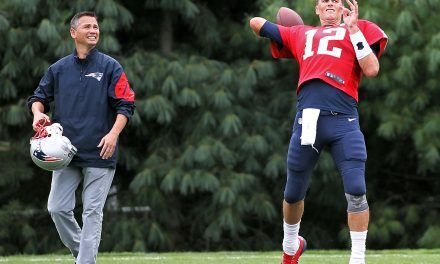 He is a New England treasure for sure! We have quite the potpourri of players who wore #21. 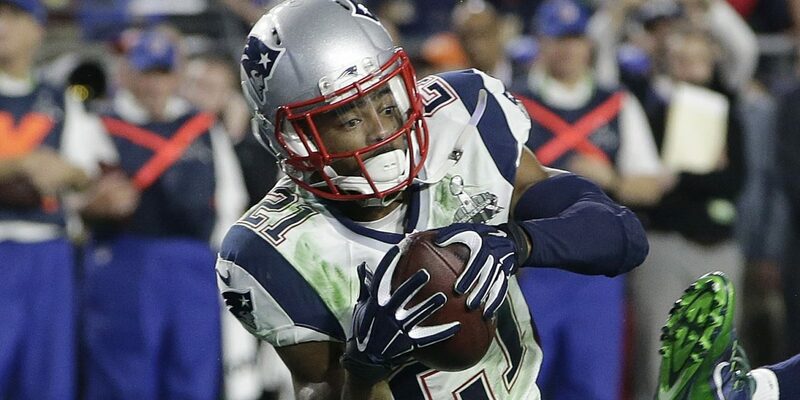 But, let’s face, does anybody besides Malcolm Butler really matter? Butler made the single most impactful interception in the history of professional football. When he stepped in front of Russell Wilson pass with seconds left in Super Bowl XLIX, it allowed the Patriots to win their fourth Super Bowl in franchise history. Perhaps the greatest thing about Butler, though, was his spirit to keep playing and performing at a high level even after his career-defining play. Butler is not the greatest cornerback in NFL history, but one can never fault him for lack of effort. He plays hard on every play, tackles well and goes for the turnover. 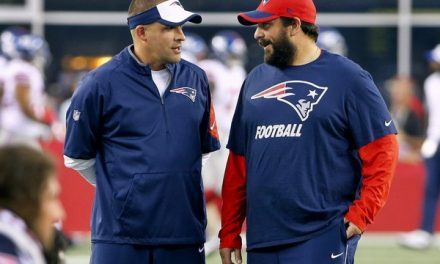 His last game with the Patriots in Super Bowl LII was shrouded in controversy, but Butler took the high road as he departed for the Titans, praising Coach Belichick despite his benching. Frankly, it will be weird and a little sad to see him in that Tennessee jersey in 2018. Speaking of DB’s, let’s go way back to the Parcells era when he had a #21 named Ricky Reynolds. Reynolds was exactly the kind of player Parcells loved: He was a scrappy veteran. Reynolds contributed in a big way down the stretch as he scored two touchdowns in December of the 1994 season. New England’s strong play down the stretch catapulted them to a surprising playoff spot. They were derailed by Bill Belichick’s Cleveland Browns. Reynolds played another year and a half with the Patriots and retired following the 1996 campaign. 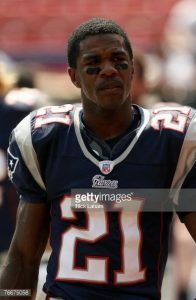 Randall Gay was another defensive back that wore #21 during his time in New England. 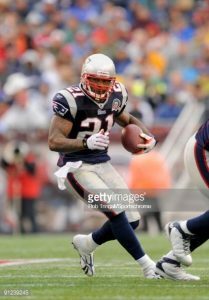 Gay mostly played on special teams but saw extensive action in the Patriots Super Bowl XXXIX win over the Eagles. Unfortunately, Gay struggled up against Terrell Owens. Gay had a strong season as part of the supporting cast of the 2007 team that ran rampant through the NFL only to lose the Super Bowl in the waning seconds. Gay’s best seasons were spent wearing #20 for the New Orleans Saints where he played in his third Super Bowl. 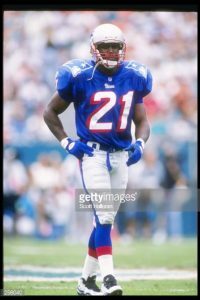 Our final #21 was a sensational player but not while he was a member of the Patriots. Fred Taylor amassed 11,000 rushing yards, including seven 1,000-yard seasons while wearing #28 for the Jaguars. His two seasons with New England were uninspiring and unnecessary.